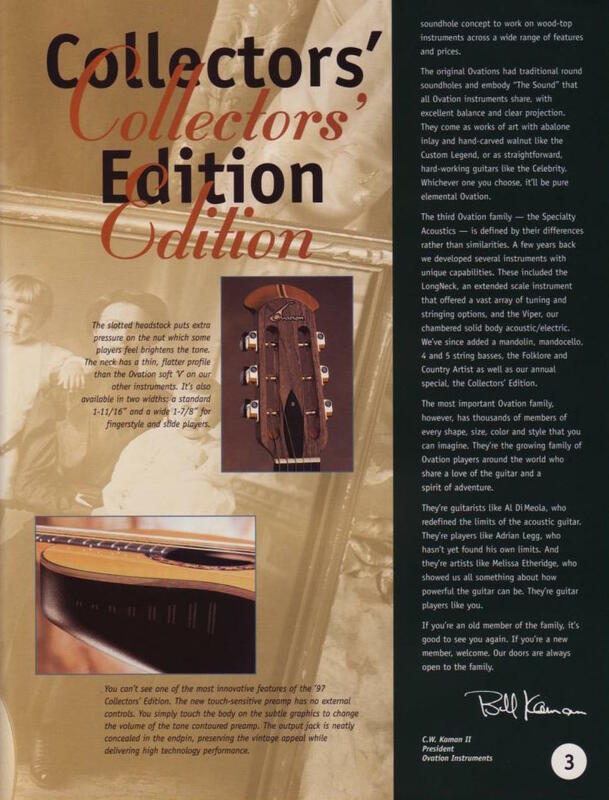 In 1997, for the first time after 30 years on the market, Ovation introduced a different body dimension, offering a parlor sized roundback guitar as a limited Collectors series 1997 model. New bowl, new neck available in two widths, and new top design for a guitar that is even smaller than a 000. The top is solid spruce with aged clear finish, bound in maple. The round hole is framed by a rosette made of individual pieces of maple set in ebony and the slothead satin finisched neck attaches to the body at the 12th fret. But that’s not all, because Ovation introduced a completely new electronics system, with a slimline pickup and the TS® preamp controlled by a touch sensitive slider built in the top waist of the bowl. The output jack is located in the endpin. 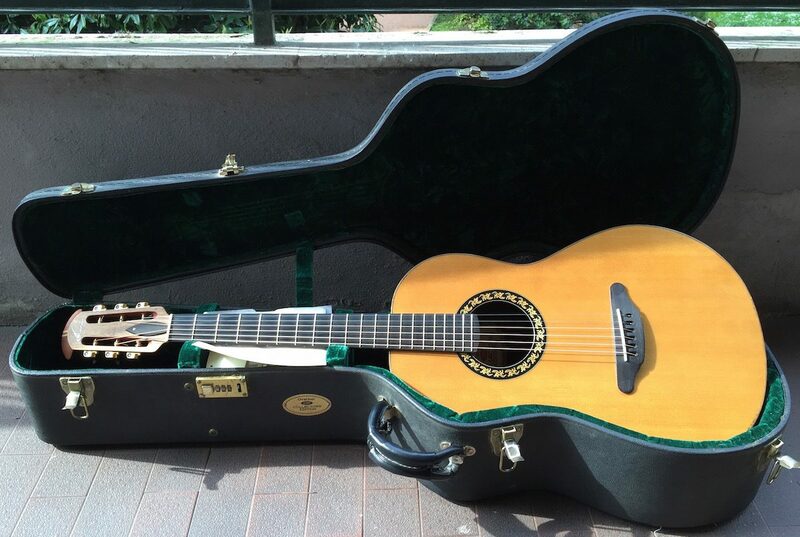 The Ovation 1997 Collectors is a small and comfortable guitar, with a surprisingly loud acoustic sound considering the size. When I saw this near mint beauty on an Italian musical instruments classifieds website I could not resist. After a pleasant negotiation with the owner we agreed on a reasonable price and now I have an oustanding parlor guitar with my beloved roundback. Thanks Raf!